I am taking an example for Indian Map as i am well aware about the mapping and coordinates in India Physical maps as per Koorma Chakra. 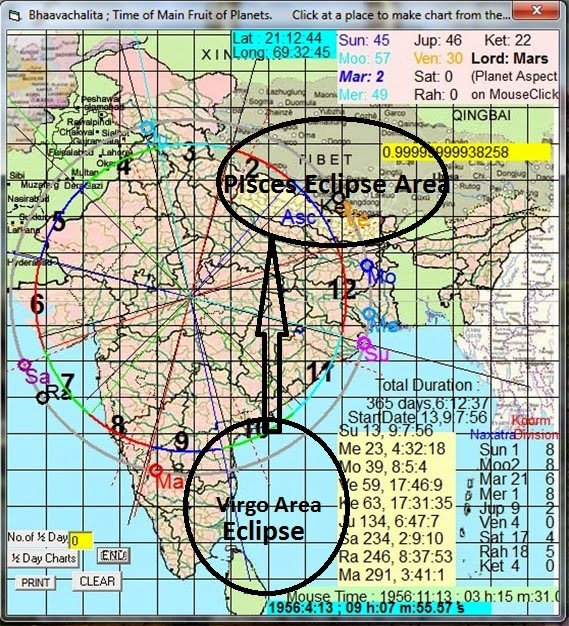 In India Map, you can easily see, in most of southern region area sun will be there tomorrow with North Node Rahu and Com-busted venus, in Virgo rashi ,Chitra nakashtra is there, mostly influence is going to effect by this Lunar eclipse on 8th of October 2014 and its direct aspect area of Pisces (Revti nakashtra area) Visakhapatnam Andhra-pardesh, Cuttuck, Oddisa, Kolkota and north east areas etc. So, i am presenting pictorial explanation how it gone effect our self specially for people of India. The 2014 eclipses are happening in pairs – on the new Moon and the full Moon in April and October. The October 8, 2014 total lunar eclipse is the first of the pair. 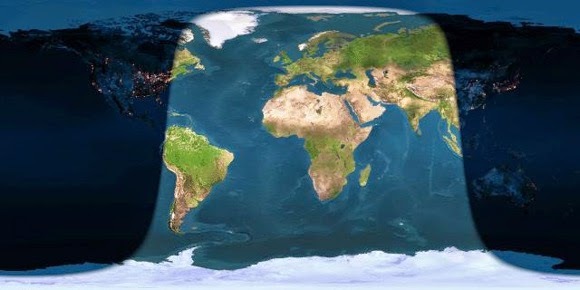 This total eclipse is visible in Asia, Australia, the Pacific, North America, and South America. In Vedic astrology or Jyotish, the lunar eclipse is happening in Pisces. The full Moon and south node Ketu will be in Pisces in the nakshatra or constellation of Revati. The Sun will be with a debilitated and com-bust Venus, and north node Rahu in Virgo. The deity of Revati is Pushan, the nurturer. He is responsible for safe travels across large bodies of water. People with a Pisces rising or with Moon or a node in Uttara Bhadrapada or Revati nakshtaras may most feel the impact of the October 8, 2014 lunar eclipse. 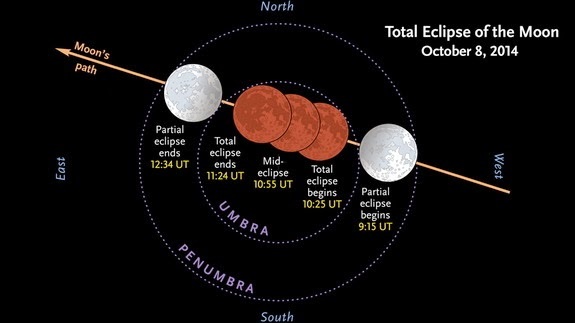 According to NASA, for San Francisco, CA, the October 8, 2014 lunar eclipse will take place from 12:16 AM to 5:34 AM local Pacific time. Typically,Vedic astrology advises that eclipses are time for inwardly directly activity and not for gazing at the Sun or Moon. It is also best if you stay inside and keep your blinds closed and not expose yourself or any food to the Moon’s rays. New undertakings should not happen typically three days before or after an eclipse or when the Moon is in Revati for 6 months. In India it will effect Kerala and southern region most lying to chitra nakashtra (near Virgo Sign – Ruling Kerala , Hyderabad and Andhra-pardesh areas mostly) Oddisa , Cuttuck , kolkatta , viskhapatnam , andra pardesh and and in South node(Ketu) area it is effecting nepal, Tibbat ,Varanasi , Culcutta , north east areas and Northern region of New Delhi and Jammu and Kashmir which are close to Revti nakashtra and Pisces sign as per the Koorma Chakra presented by Varahmihira in Brihat Samhita. 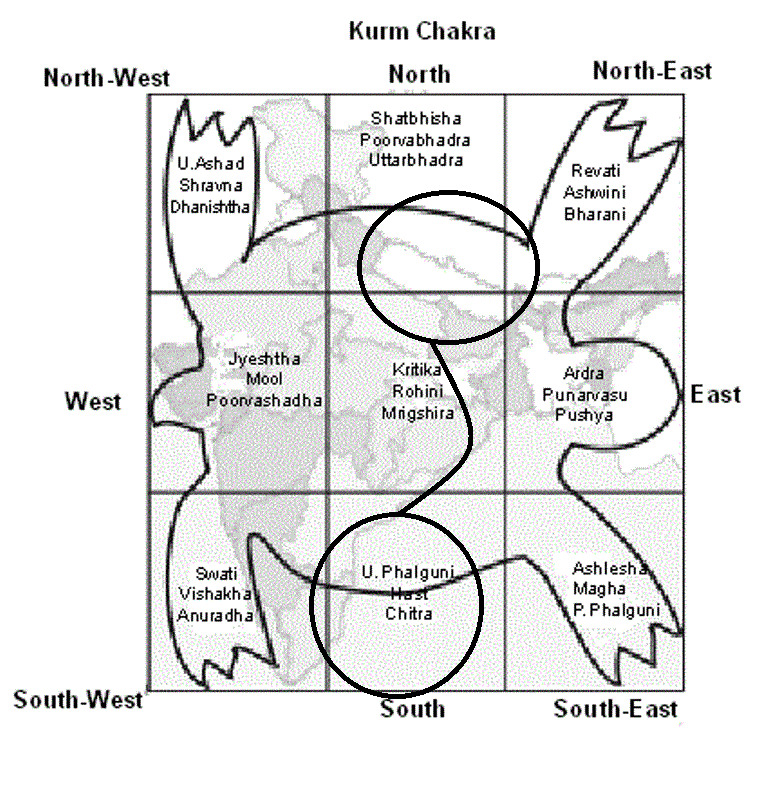 In Mapping of India Map with ” Koorma Chakra “, based on Ancient technique as suggested by Varahmihira in Brihat Samhita, it is easily seen in map what are the areas of effects by ongoing Eclipse on 8th of October 2014. 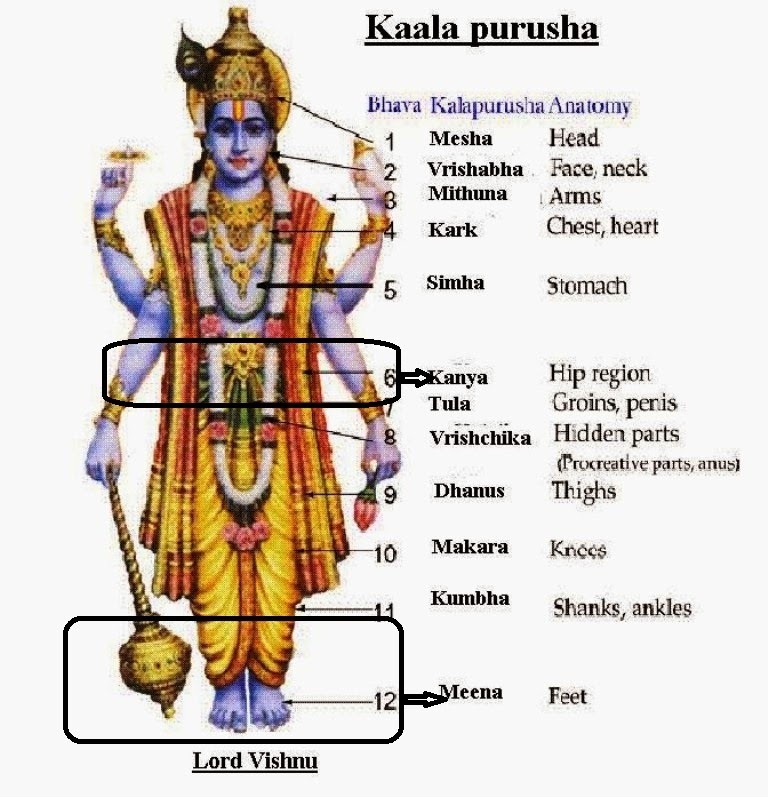 During this eclipse Body parts which are effecting are feets , lower limbs and hip area as per the kaal purusha sign assignment on body parts. Take an example of Pisces lagna where Eclipse influence will be mostly seen and Effect on Birth chart will be clearly seen in 5th, 1st , 12th and 7th houses & lords which are involved in it, which means ; might be a case of Bad Repo for Pisces lagna , sudden fear , hasty decisions , lots of tensions and frustrations , will be in trauma or shock like situation , mind will be in confused state what to do next , Martial issues will be there being involvement of 8th Lord Venus with 12th lord Rahu and 6th lord Sun – Might be case of Separation with loved ones in 7th house i.e an extramarital issues can be seen (being 12th lord in 7th house – North node Rahu ) who are gone running Moon Ad , Sun Ad or Rahu AD or the nakashtra dashas which are ruling by lunar eclipse will mostly felt. This way you can analyze your own lagna chart for tomorrow Eclipse but effects will be mostly seen for those who are running above Mentioned Nakashtra dashas or the Dashas of Moon , Sun and Rahu or the lagna. and Rahu or the lagna.